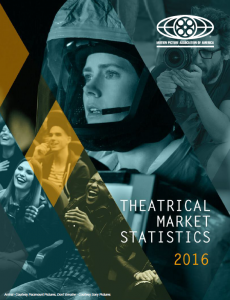 The Motion Picture Association of America has released its annual report on Theatrical Market Statistics for 2016. Even with an incredible variety of viewing choices available to audiences, cinema remains the premier way to experience the magic of our movies. And the good news is, there are positive signs for greater growth in the future. As the 2016 Theatrical Market Statistics Report confirms, yet again, movies continue to play a vital role in our lives and our cultures. Around the world, storytelling –and the movie-going experience that brings great stories to life –is very much alive and well. · The global box office reached a new high of $38.6 billion in 2016. · In the US and Canada, the box office rose 2% to hit $11.4 billion. 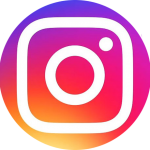 · 246 million people went to the movies at least once last year in the US and Canada. · Moviegoers ages 18 to 24 saw the most – an average of 6.5 films. · Attendance was up among ethnic minorities and three of the five grossing films in 2016 attracted majority female audiences.